Despite coming from a well-respected family of Victorian industrialists, Victoria B Darcy followed her heart to become a professor of horticulture and conservationist. Ahead of her time, she voiced strong opinions about the up-keep of Sheffield’s parks and had a vision of transforming South Yorkshire’s industrial landscape by introducing beautiful gardens. Eventually, Darcy began making over the Steel City’s urban areas by planting lush greenery wherever she could. Indeed, wherever you see wild flowers or a beautiful green space in Sheffield, you should think of Victoria B Darcy. However, if you wish to find out more about this fascinating trailblazing woman via Google or in a library, you will hit a dead end. Rather than being a real historical figure, Darcy is, in fact, a work of fiction, created by the people behind The Lost & Found chain of restaurants to be the face of their Sheffield branch. 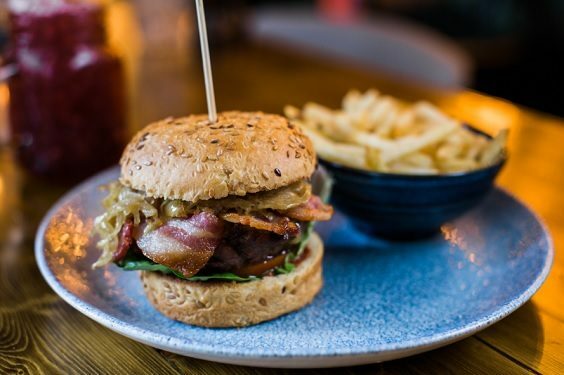 Before the eatery and bar opened on Ecclesall Road in Autumn 2018, The Lost & Found already had two avant-garde cocktail bars and restaurants in Leeds, as well as others in Birmingham, Bristol and Knutsford. Each of the locations is represented by a different mythical professor, whose fictional background story forms the basis of the food and drink. Diners and drinkers are presented with an opportunity to ‘uncover the unique depths of the professors’ Victorian hideaways’ and ‘recall the glamour of bygone eras’. My wife Rachel and I visited The Lost & Found on Ecclesall Road on a chilly weekday afternoon in January, and received a very warm welcome from the friendly and knowledgeable staff, keen to explain the place’s concept. The interior of the building has been completely overhauled since its days as the Pointing Dog Clubhouse, and before that the Polish Club. Drawing inspiration from Sheffield’s industrial heritage and its location near the Botanical Gardens, The Lost & Found is filled with delicate cherry blossom, creeping ivy and climbing roses. Meanwhile, the Victoriana-style furniture, all rich velvets, soft leathers and decadent chandeliers, give the place a nostalgic but cosy feel. 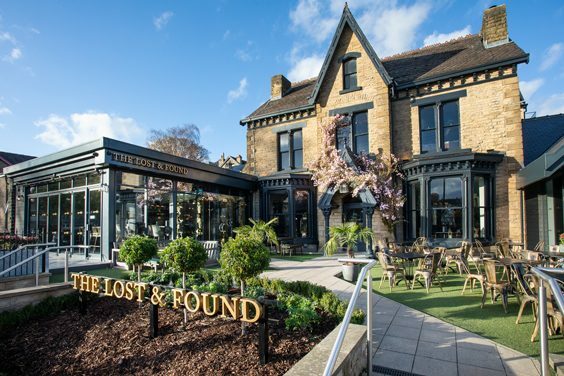 You get the impression that The Lost & Found is a place for all seasons too, with the heated outdoor patio, sun-drenched conservatory and secret bar providing perfect hideaways for all parties, whatever the weather. 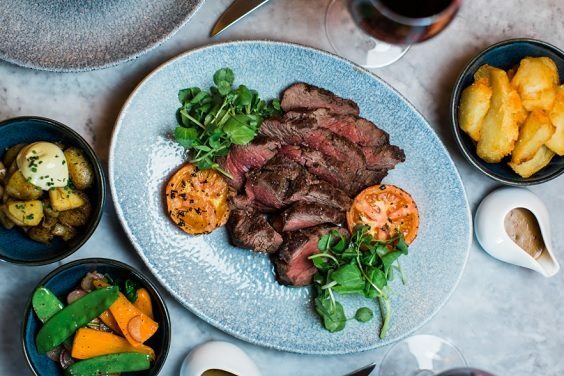 The all-day menu features a bountiful selection of seasonal dishes containing the best British ingredients. But before choosing our food, Rachel and I couldn’t wait to sample the Victoria B Darcy-inspired cocktail menu, which comes with a helpful Taste Map illustrating the strength and flavour of each beverage. As I was the designated driver, I opted for the long and refreshing mocktail Hedgerow Cooler containing blackberries, apple and lemon juice and lavender syrup. Rachel meanwhile, got underway by sipping a Forbidden Fruit – Absolut Vanilla Vodka, Briottet Manzana Verde, pear liqueur, cinnamon syrup, cranberry and lemon juice. To be honest, most items on the food menu all looked mouthwateringly good, but starter-wise, the crispy squid and chorizo with roasted garlic aioli and semi-dried tomatoes caught my eye. The smoked salmon with gin and tonic pickled cucumber, lemon cream cheese and malted brown bloomer was Rachel’s choice. 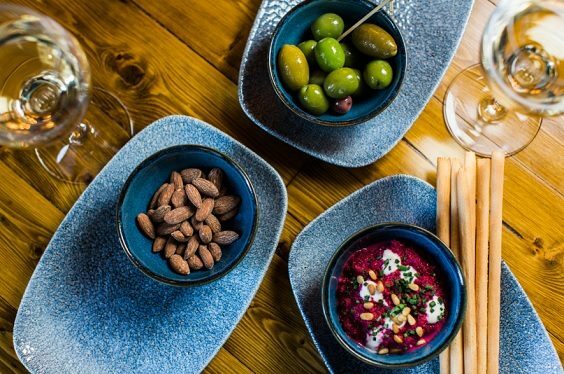 After devouring these tasty starters, for the main course, Rachel found the chicken penne pesto rosso with spring and red onions, crème fraîche and basil, to have a satisfying kick. My 8oz sirloin steak with triple cooked chips was also cooked to perfection on the grill and perfectly complimented by a confit tomato and peppercorn sauce. The pastry chefs at The Lost & Found are clearly just as talented as their counterparts in the kitchen and behind the bar. For dessert, Rachel left room for the Warm Sticky Toffee pudding with spiced toffee sauce and vanilla pod ice cream, whereas I treated myself to a calorific Millionaire’s Shortbread with dark chocolate, sticky whisky caramel, honeycomb and rich chocolate ice cream. Admittedly, there are countless restaurants and bars on the southside of Ecclesall Road, so this new development across the street is a very welcome addition. But what makes The Lost & Found stand out from all the others? Over the last few years, Sheffield has been marketing itself as the ‘Outdoor City’. The Lost & Found has tapped into this trend and chosen a keen horticulturist and conservationist as a mythical professor to represent the Steel City. 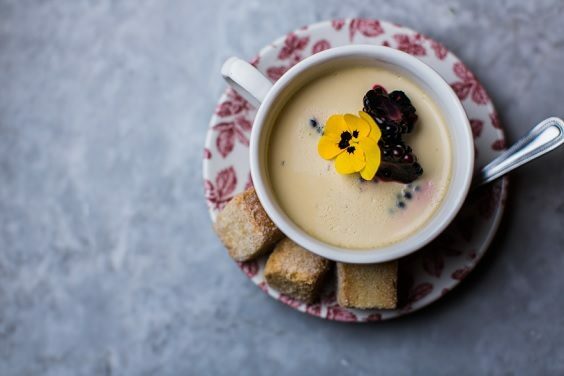 The botanically-inspired Lost & Found has confidently taken root on Ecclesall Road, and on a cold January afternoon, we found it to be bloomin’ marvellous.